Send A Message To Carolann M.
Carolann M. Trainor, MAPC, MASp., MBA., is a Pastoral Psychotherapist studied and trained at Loyola University Chicago. She is a member of the Canadian Counseling and Psychotherapy Association and a Canadian Certified Counselor in private practice for Individual and Couples Counselling. Carolann has led an interesting and challenging life. She has learned to read between the crooked lines of her life and become more aware of her gifts and strengths of humour, enthusiasm, spontaneity and genuine interest in people. 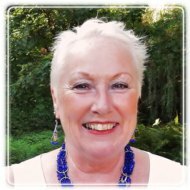 She is a professional providing psychotherapy to individuals and couples creating a safe and warm environment for clients to share their story. She builds empathy and respect towards an alliance with clients as well as acknowledging the needs of multicultural and interfaith clients.